The Chicago Blackhawks are the hottest team in the NHL, and it comes as no surprise that their game against the St. Louis Blues on Sunday serves as this week's most expensive game. A seminal Metropolitan Division matchup between the Pittsburgh Penguins and Washington Capitals on Sunday will be the second top-priced game while the Vancouver Canucks head to Midtown Manhattan to take on the New York Rangers Tuesday night. A Saturday game between the Columbus Blue Jackets and Boston Bruins at TD Garden will round out this week's top NHL games list. Winners of their last 11 games, the Blackhawks set to host the Blues at United Center on Sunday night in what will be the week's top-priced NHL game. 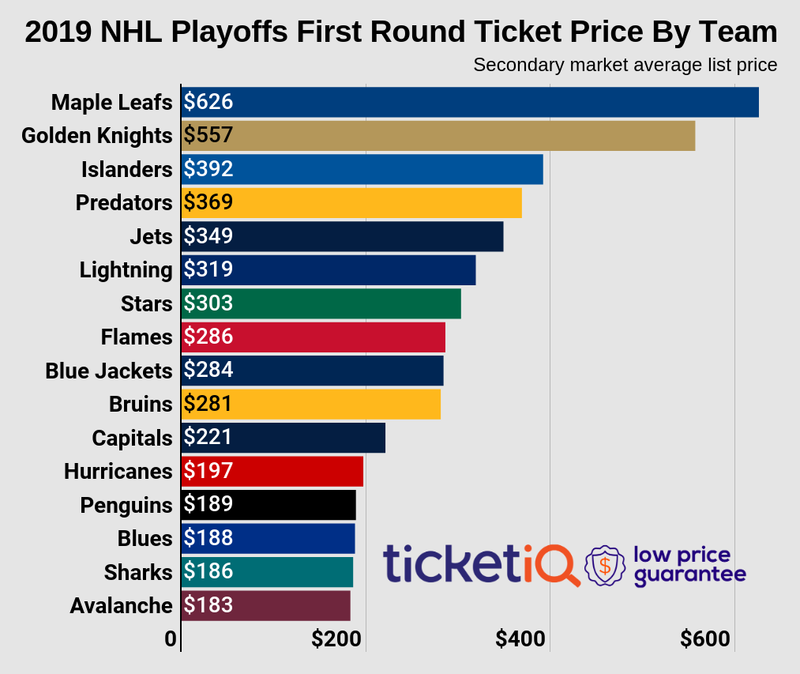 The average price for Chicago Blackhawks tickets on TicketIQ against the Blues currently average $323.22 and the cheapest ticket is listed for $135. The first 10,000 fans in attendance will also receive a Patrick Kane bobblehead prior to puck drop. The Blackhawks sit atop the Western Conference with 66 points, though the Dallas Stars trail directly behind with 63 points to their name. The Washington Capitals have taken the league by storm this season, collecting 71 points through 45 games. They'll host the Pittsburgh Penguins at Verizon Center on Sunday, where Washington Capitals tickets average $234.49 and the get-in price is $104. The Capitals can further stretch their lead in the Metro with a win at home as the Penguins own fourth-place honors in the division with 49 points. Following a shootout win over the New York Islanders Sunday night the Vancouver Canucks remain in New York to take on the New York Rangers at Madison Square Garden Tuesday night. New York Rangers tickets against the Canucks currently average $208.73 and the cheapest ticket is listed for $71. The Rangers have struggled recently after a significant start to the season and sit one point behind the Islanders for third place in the Metro. Rounding off this week's top NHL games list is a game between the Blue Jackets and Bruins in Boston on Saturday. Boston Bruins tickets against the Columbus Blue Jackets currently average $198.44 on the secondary market. The cheapest ticket is listed for $90. The Blue Jackets have struggled all season long despite their significant offseason moves and sit in the cellar of the Metro with 38 points. The Bruins sit in the middle of the Atlantic division with 51 points, six points out from the first-place Florida Panthers.